What’s the difference between the MB882SP-1S-2B and the MB882SP-1S-1B? The “-1B” version is the first of its kind in this product line. The top door hinges open, and the drive is connected and disconnected to the SATA interface via a metal tray that slides into and out of the connection as the door opens and closes. The “-2B” version was our second addition to this product line and is what we call our “simple version”. 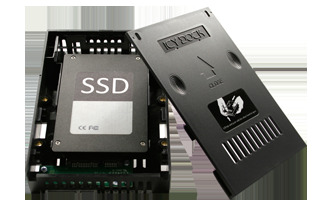 This device uses a top door that comes all the way off, and uses a simpler mechanism to connect the drive to the SATA connection. As the door is slid into place, it pushes a flap inside the box which in turn pushes the drive into the SATA connection. What is the difference between MB882SP-1S-1B(2B) and MB382SP-3B and MB982SP-1S? The MB882SP-1S-1B(2B) is the first 2.5" to 3.5" hard drive or SSD converter with an overall sturdy, reliable construction with easy access to the drive perfect for system integrators and IT professionals. The MB982SP-1S is based off the MB882 series design but utilizes a full metal design creating a better environment for cooling, as well as giving it a rock solid construction ideal for industrial, enterprise, and military applications. The MB382SP-3B is a new design based off the MB982SP-1S but with added open air design with exceptional cooling. My HDD/SSD isn’t being detected when inserted into the MB882SP-1S-2B. What do I do? Will this converter allow me to fit my SSD or 2.5” HDD into a 3.5” bay? 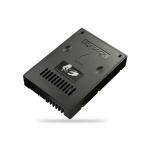 The MB882SP-1S-2B is a 2.5” to 3.5” hard drive converter. 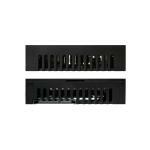 It will fit any standard 2.5” SATA hard drive or SSD into any standard 3.5” hard drive bay. Will using this converter affect performance in any way? This converter will not affect performance in any way because the device interface is essentially a bypass. It will be like the hard drive is directly connected to the motherboard. Does the MB882SP-1S-2B support Samsung 840 series SSDs? 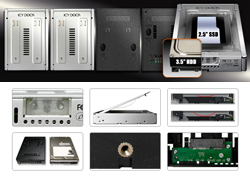 Yes, this converter will support all 7-9.5mm 2.5" SATA hard drive or SSD. Does the MB882SP-1S-2B support SATA III hard drives or SSD with SATA III interface? 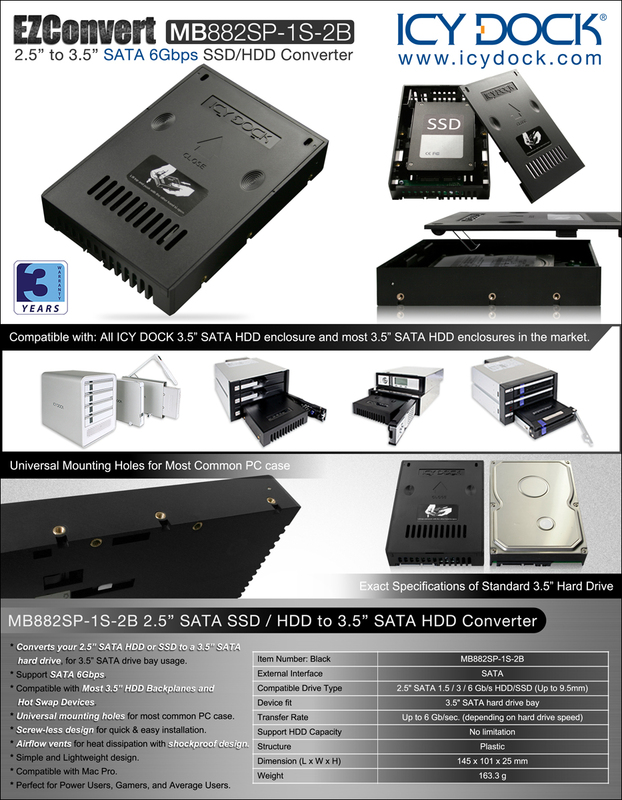 The MB882SP-1S-2B support SATA I / II / III hard drives or SSD with a SATA I / II / III interface. "Icy Dock EZConvert and EZConvert Pro products simplify the integration of 2.5-inch storage products in what is still a 3.5-inch world"
"All three kits work well and were very easy to setup without even breaking out an instruction manual." 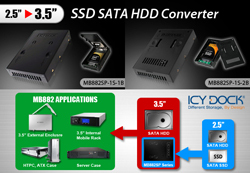 How to Choose the Right 2.5" to 3.5" SSD / Hard Drive Converter?